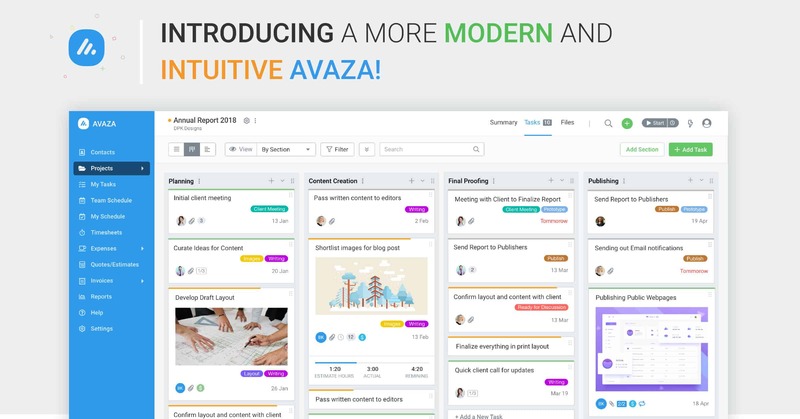 While redesigning Avaza, we took into consideration all the feedback we’ve received over the last 4 years from users. Requests to see more data on one page, simplified navigation and reduced clicks to get to important pages were at the top of the list. So that’s what we did! Figure: A new look for Avaza! Here’s some of what’s changed. Moving the navigation bar to the side makes better use of space on most screens and will allow us to add additional modules to Avaza without overcrowding the menu in the future. Moving the top navigation to the side left us with more space on the screen, so we’ve moved page titles and common actions to the new Menu Bar at the top of the page. These include contextual page tabs, the Global Timer, Create button, Activity Feed and User Profile. 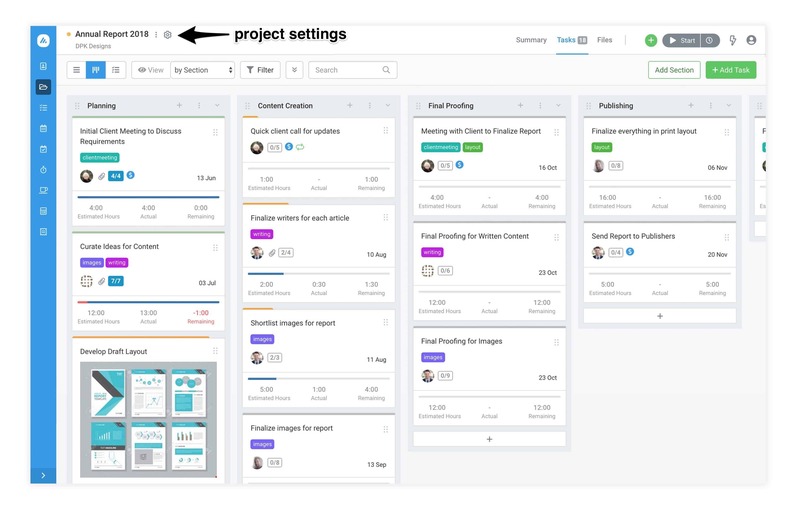 On Project page, the Menu bar shows not only the Project Name, but the Project Settings button and the inner tabs for the project (summary, tasks, and files). Right below the Menu Bar, we now have the Toolbar. The Toolbar contains actions relevant to the page you’re on. You can see filter options, and other action items you would ordinarily find on this page. 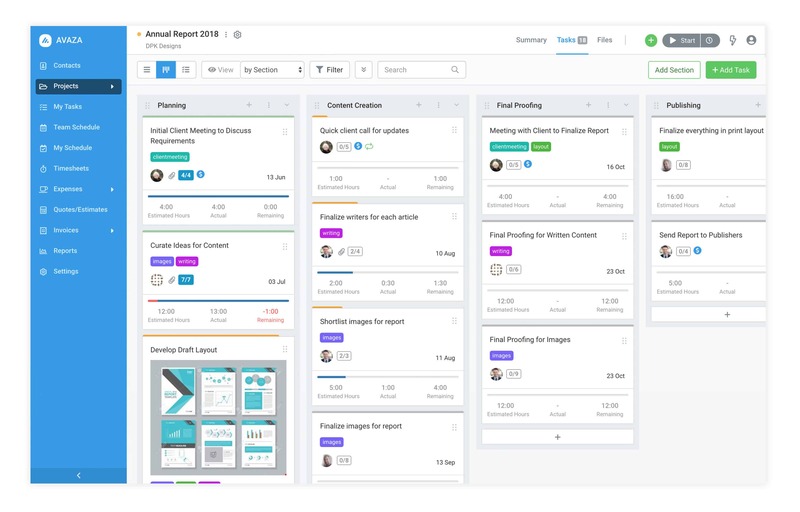 This redesign also opens the way for more enhancements, like new features and improvements to functionality, that we will be making over the course of the year. 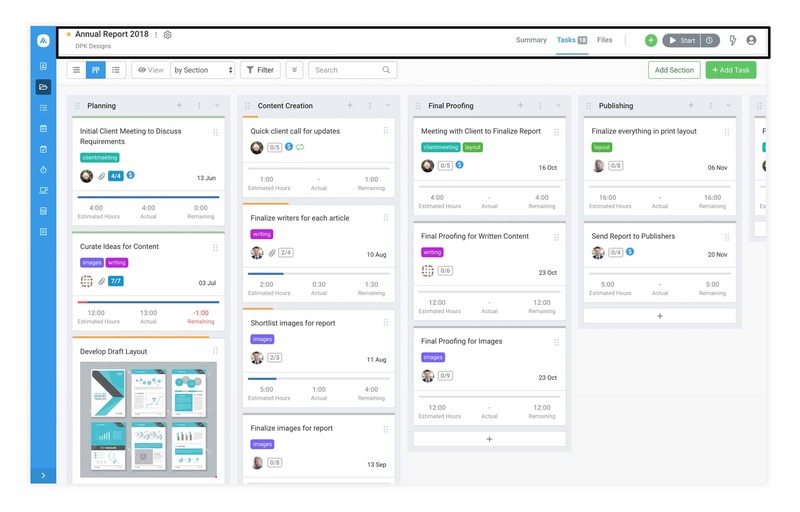 please add: gantt chart overview (all gantt charts stacked above each other so we have an overview of all projects). 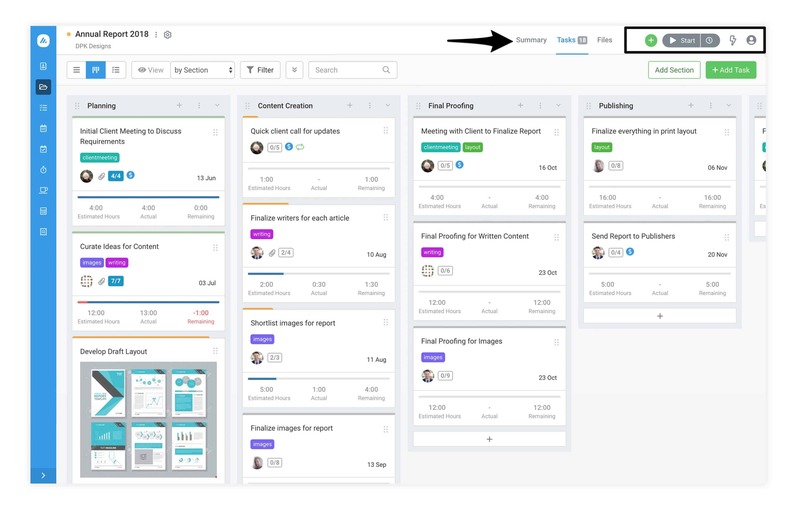 Kind of weird that such a feature is missing in a project management app. also add: titles for invoices. so items can be grouped in the invoice for a better overview. You can view All Tasks in list-view, however, we don’t currently support this in Gantt charts. You can also group data on Invoices in different ways. Please feel free to email support@avaza.com if you have any more questions or suggestions.